My favorite President, hands-down, is Ronald Reagan. I remember 52 American hostages marching from a compound, released from an Iranian prison minutes after President Reagan was sworn into office. I swelled with pride. “In the 1950s, Khrushchev predicted: ‘We will bury you.’ But in the West today, we see a free world that has achieved a level of prosperity and well-being unprecedented in all human history. In the Communist world, we see failure, technological backwardness, declining standards of health, even want of the most basic kind–too little food. Even today, the Soviet Union still cannot feed itself. After these four decades, then, there stands before the entire world one great and inescapable conclusion: Freedom leads to prosperity. Freedom replaces the ancient hatreds among the nations with comity and peace. Freedom is the victor. Two years later, the people of a freed East Berlin tore down that wall. 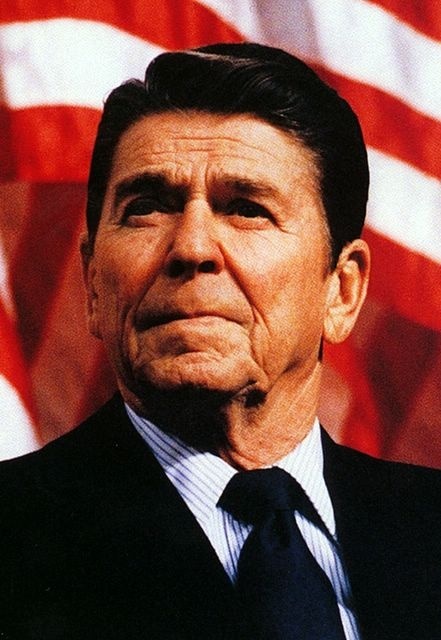 Reagan’s determination and drive to see Communism topple, reminded all of the President’s desire for America to be a “shining city on a hill.” I swelled with pride. For two terms, the “Gipper’s” speeches never failed to invoke America’s greatness. Due to the lackluster and feckless Presidency of Jimmy Carter, Reagan ushered in a new era of hope and Patriotism. Yes, I miss the Reagan years. My heart broke the day jihadists turned planes into torpedoes, but something about a Texan living in the White House brought hope that America wouldn’t cower to evil, but would take the fight to our enemies’ homeland. And that’s what happened. I swelled with pride. Since 2008, I can’t think of many reasons to be proud of our Country’s leadership. Sure, Americans elected the first African American to the highest office in the Land…but that “accomplishment” rested solely in the hands of the voters. From personal conversations, I have discovered many voted for Barack Obama, not because of his political experience, but because of his skin tone. Some who had never voted for a Democrat previously, jumped on the “Let’s make American History” bandwagon. But since his election and re-election, has the President accomplished anything of merit? In fact, not only has job creation been stagnant, but millions have been added to the rolls of government assistance. This certainly doesn’t instill pride. And on the American home front? This Administration has cranked up race relations rhetoric, throwing fuel on the smoldering cities of Ferguson and Baltimore. Now, Black Lives Matter and Louis Farakhan have challenged African Americans to wage a war on white people and our law enforcement officers. What does our President do? Snaps selfies by a glacier to propagate his climate change agenda. Not much to be proud of there either. And then there’s our President’s misguided view of heroes. In my eyes, military personnel deserve our respect and gratitude. Also, those who put on a uniform to keep us safe on our city streets. Mr. Obama seldom honors men and women willing to lay down their lives for the American people, but rushes to congratulate a homosexual who decides to openly play on a professional sports team. It’s hard to show pride in that. Lastly, a freedom I never dreamed vulnerable is currently battling a national agenda to normalize the Gay/Lesbian/Transgender Lifestyle. Pilgrims risked life and limb to come to shores of America to insure their freedom to worship how they pleased, when they pleased. Today, their sacrifice seems almost futile as the Leftist agenda strives to relegate religious practice to the Church building. However, nowhere does the Constitution demand we compromise our religious convictions once we leave the shadow of the Church steeple. It’s impossible to take pride in diminished religious liberty. I still love America, but maybe my adoration stems from memories past instead of a hopeful present and an anticipated bright future. I pray our generation rises to claim this Country for God and that He rescues her from teetering on the precipice of destruction. If we fail to turn, I tremble at the thought of America’s demise. I hope our kids aren’t the first generation to dwell in the largest third world country in the world. In case some missed the Sunday School lesson discussing the origins of the friction between the Jewish people and the Arab nations, let me take a moment to share a little refresher. A few days ago, aides from the Obama Administration appeared dumbfounded on the morning news shows when asked about the hatred between Muslims and Jews. It’s quite simple, really. One needs only turn in the Bible to Genesis chapter 16. Have you ever become impatient with God? God promised Abraham that he and his wife Sarah would be blessed with a child…a son. Many years passed and Sarah failed to conceive. Instead of waiting faithfully for God to provide the promised heir, Abraham weighed his options. Abraham considered the situation and decided God needed help. So, he married his wife’s maidservant, Hagar, and she conceived. God promised that Ishmael’s descendants would be numerous, but also warned that Ishmael and his future line would be violent, living in hostility toward everyone. Ishmael’s line fathered the Arab nation that exists today. Abraham and Sarah did eventually conceive a son and gave him the name Isaac. Isaac’s birth fulfilled God’s promise and insured the Jewish line would never cease to exist. Of course tensions existed between Ishmael and Isaac, and that animosity continues to this day. If the Obama Administration would just brush up on biblical history, there’d be less head scratching by Obama Aides on future morning news shows.